Promote your romance and erotica books to our continually growing and highly engaged audience! 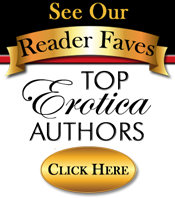 Our least expensive option is a permanent listing on our site where you list everywhere your book is for sale, all the formats it is available in and can even include your book trailer if you have one. Check it out here. Promote your steam level 3-5 steamy romance and erotica ebooks directly to our subscribers. Our subscriber list and social media accounts grow daily because of the large number of new visitors to our site.